17 Dec 2018 / 17:18 H.
KUALA LUMPUR: Malaysia has filed criminal charges for offences under the securities law against subsidiaries of Goldman Sachs investment bank and its key employees Tim Leissner and Roger Ng Chong Hwa. 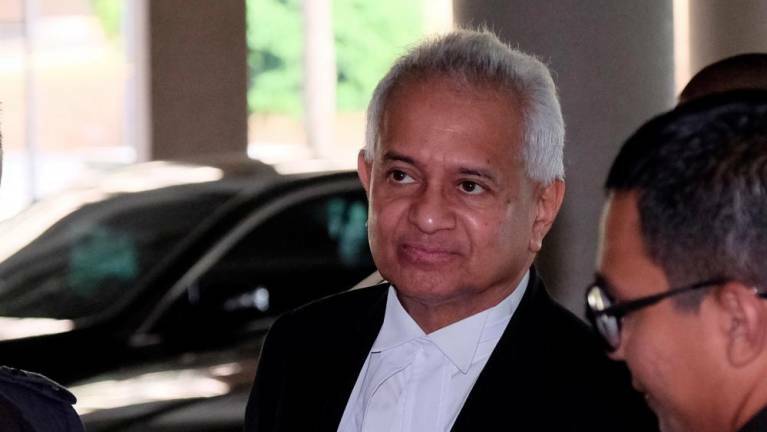 Attorney-General Tommy Thomas said charges were also filed against former employee of 1Malaysia Development Berhad (1MDB) Jasmine Loo Ai Swan and Low Taek Jho, or better known as Jho Low. 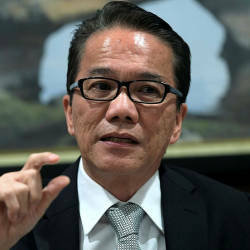 “The charges arise from the commission and abetment of false or misleading statements by all the accused in order to dishonestly misappropriate US$2.7 billion (RM11.3 billion) from the proceeds of three bonds issued by subsidiaries of 1MDB, which were arranged and underwritten by Goldman Sachs,“ Thomas said in a statement issued today. The three bonds with a total face value of US$6.5 billion were for US$1.75 billion bonds issued by 1MDB Energy Limited through an offering circular dated May 18, 2012 with an interest rate of 5.99% per annum and redeemable in 2022, US$1.75 billion bonds issued by 1MDB Energy (Langat) Limited through a private placement memorandum dated Oct 17, 2012 with an interest rate of 5.75% per annum and redeemable in 2022; and US$3 billion bonds issued by 1MDB Global Investments Limited through an Offering Circular dated March 16, 2013 with an interest rate of 4.4% per annum and redeemable in 2023. 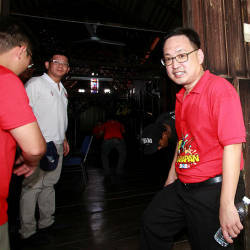 He alleged that Leissner and Ng had conspired with Jho Low and Loo, who was then general counsel of 1MDB and others, to bribe Malaysian public officials in order to procure the selection, involvement and participation of Goldman Sachs in these bond issuances. “Goldman Sachs benefited by receiving underwriting and arranging fees of approximately US$600 million which was several times higher than the prevailing market rates and industry norms,“ Thomas said. This is in addition to personally receiving part of the misappropriated bond proceeds, those employees and directors of Goldman Sachs received large bonuses and enhanced career prospects at Goldman Sachs and in the investment banking industry generally, Thomas added. 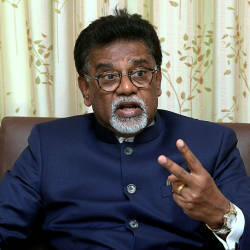 Thomas added that the scheme was designed and crafted by the accused to fraudulently structure the bonds for ostensibly legitimate purposes when they knew that the proceeds thereof would be misappropriated and fraudulently diverted by the accused themselves was planned and executed in order to defraud the Malaysian government and the purchasers of the bonds. The accused have allegedly breached Malaysia’s securities laws, particularly, Section 179 of the Capital Markets and Services Act, 2007 (Act 671).